Using durable reusable things instead of plastic disposable items is very important to me. 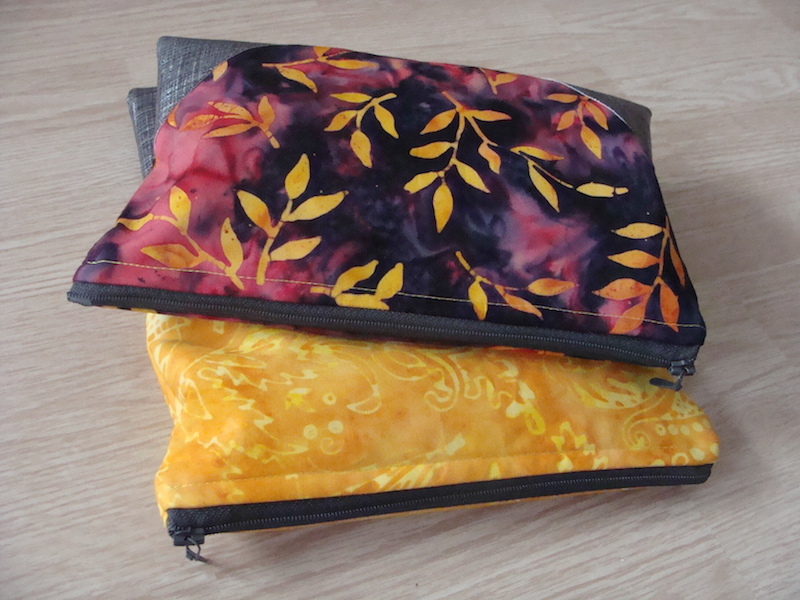 I still use a shopping bag that I sewed almost 10 years ago! When shop for groceries, I prefer to pick fruit and vegetables that are not packaged. I buy loose oranges for example and not the oranges in a plastic net and loose apples instead of apples laid in styrofoam and covered with plastic. 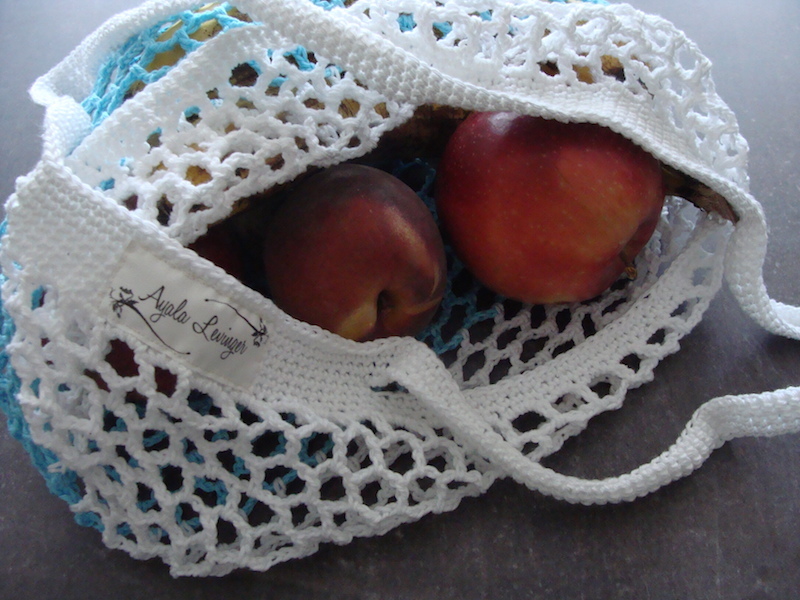 I have already made transparent organza bags with a string to pack loose fruit and I also use them for bread. No more plastic bags for groceries. 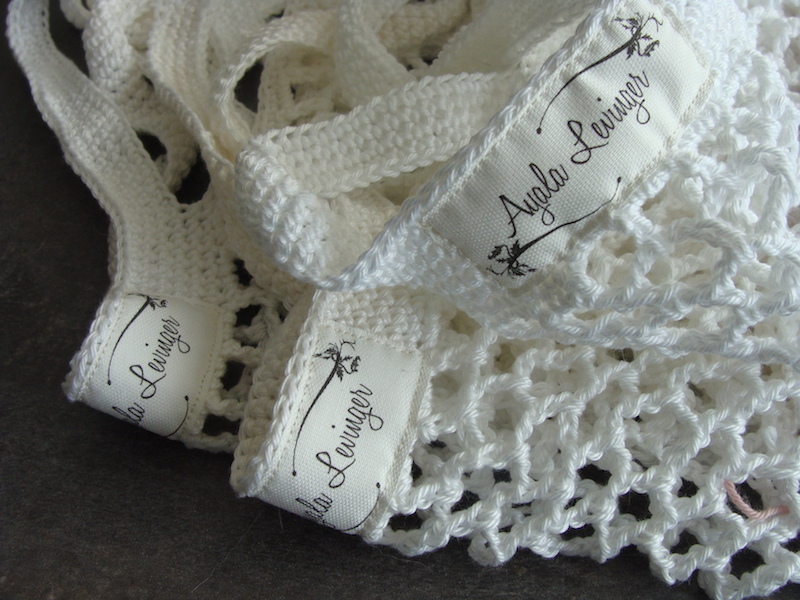 They are really simple to make (you can also buy them). 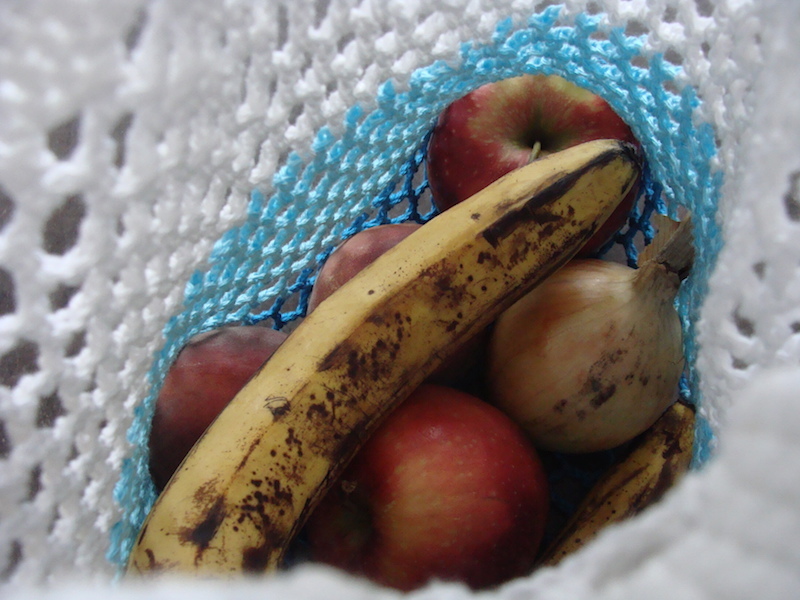 I know #nomoreplastic is (almost) impossible for most of us with almost all products are packed in it but fruit and vegetables and even some bread are not so why not avoid packing them in plastic if you can? Do what you can to #savetheearth ok? 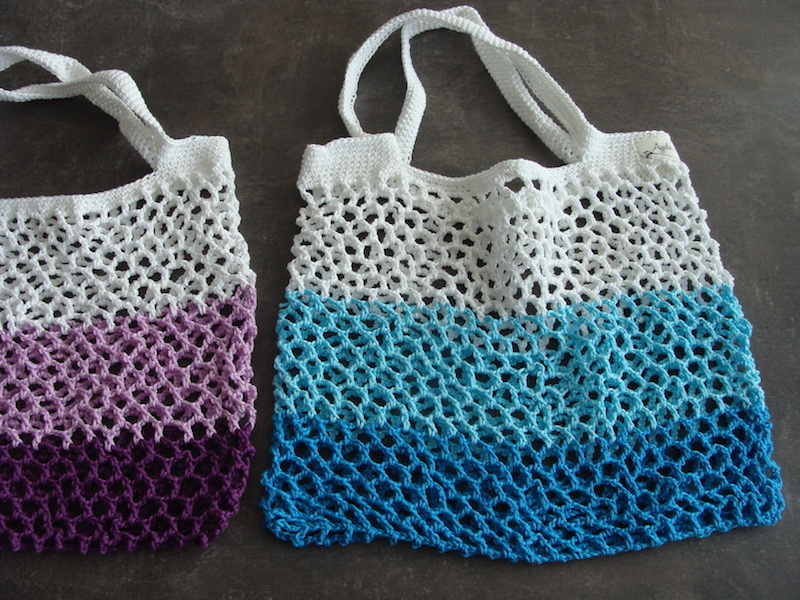 And now I also crocheted shopping bags. 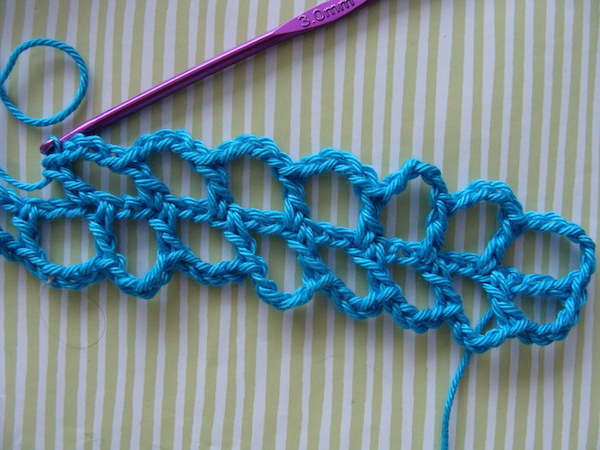 I did not use a pattern and also did not write a pattern but I took some pictures of the process. I believe you can understand how I made them from the photos and do the same if you want. 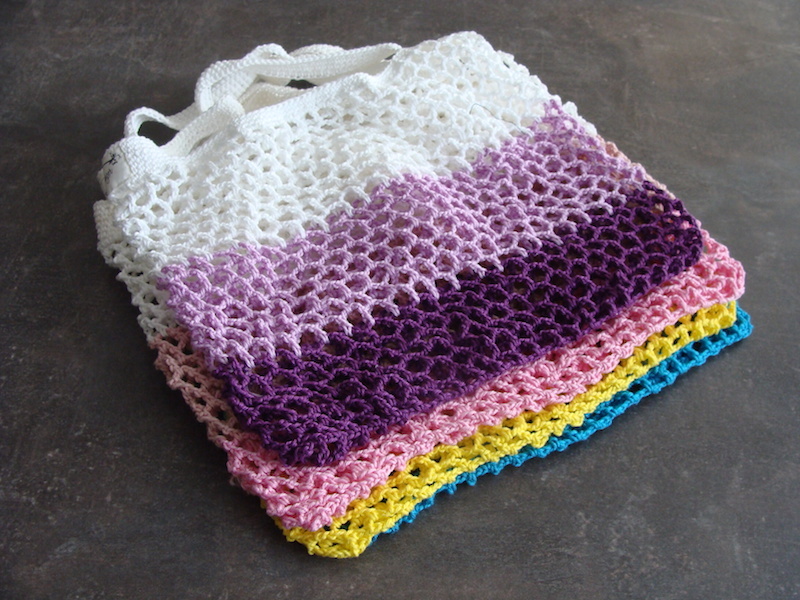 If you must have a pattern you will find a lot of similar patterns on pinterest if you look up the words crochet shopping bags free patterns (or click on the link :P). Make no mistake, this bag is very elastic! It is stretched when it is filled with heavy things and become longer! This bag is very elastic and you can carry a lot in it. 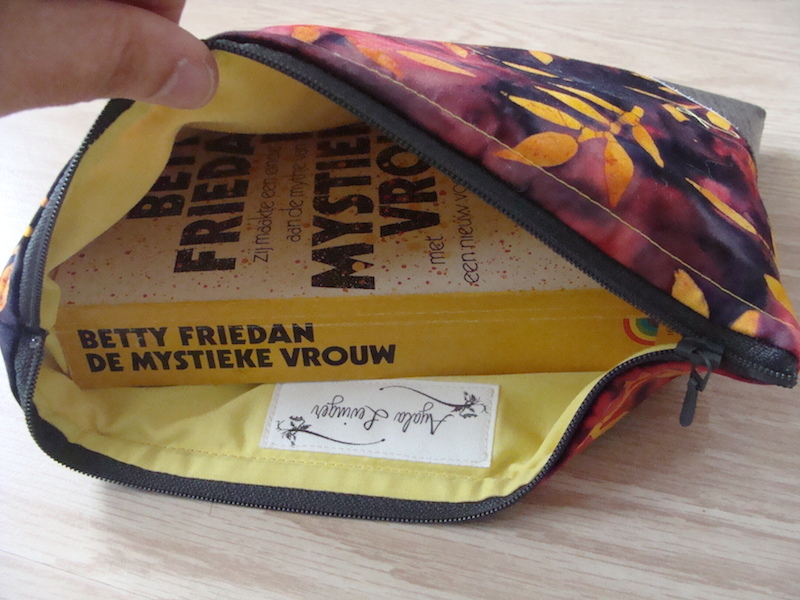 I always carry a book in my bag. Mostly paperbacks because hardcovers are too heavy and these paperbacks get damaged sometimes because of other stuff in my (too) full bag. 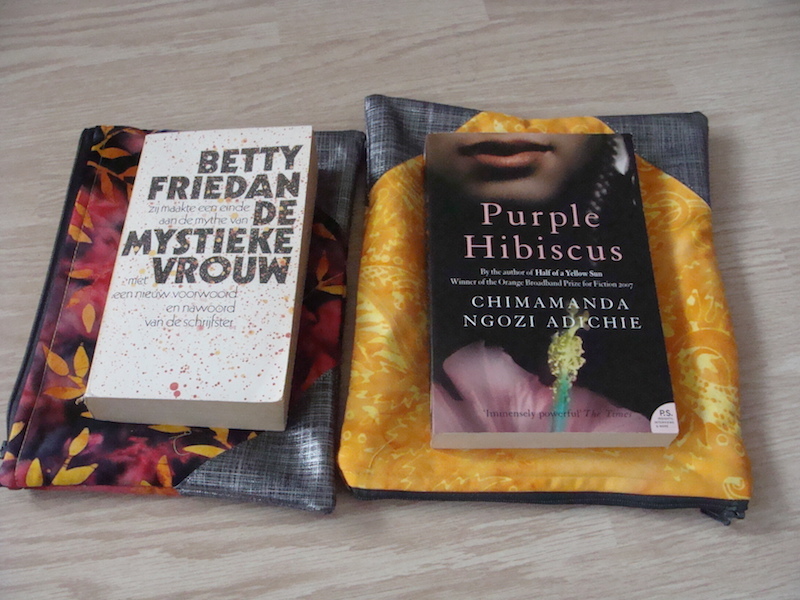 That is why I thought for quite sometime that I need a boekcozy with thick batting to protect my precious books. 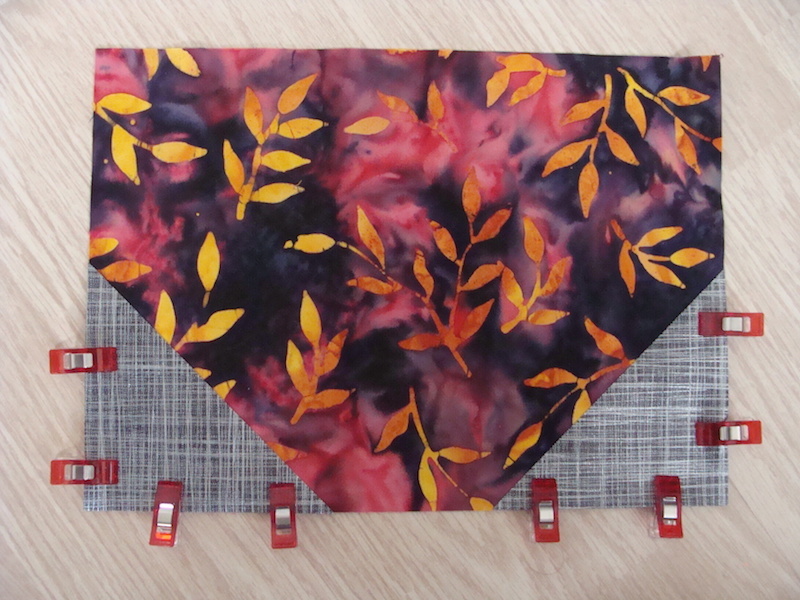 Quilt fabric (cotton) for the outside, quilt fabric for the lining and cotton or bamboo quilt batting. piece of 4 x 8 inches table cloth. 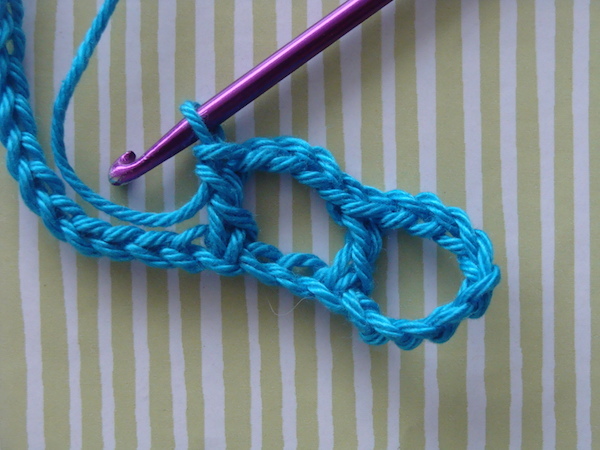 sewing thread and sewing thread in a matching color for the table cloth and matching color for the fabric of the outside of the book cozy. Cut 2 rectangles of 18 x 26 cm from the fabric for the outsied, lining and batting. total: 6 rectangles. Cut 2 squares of 12 x 12 cm from table cloth and cut each of the squares diagonally so you will get from 2 squares – 4 triangles. Lay a rectangle from outside fabric right side up on a rectangle of batting and 2 table cloth triangles exactly above the corners of the long edge (that is going to become the bottom of the book cozy) also right side up. 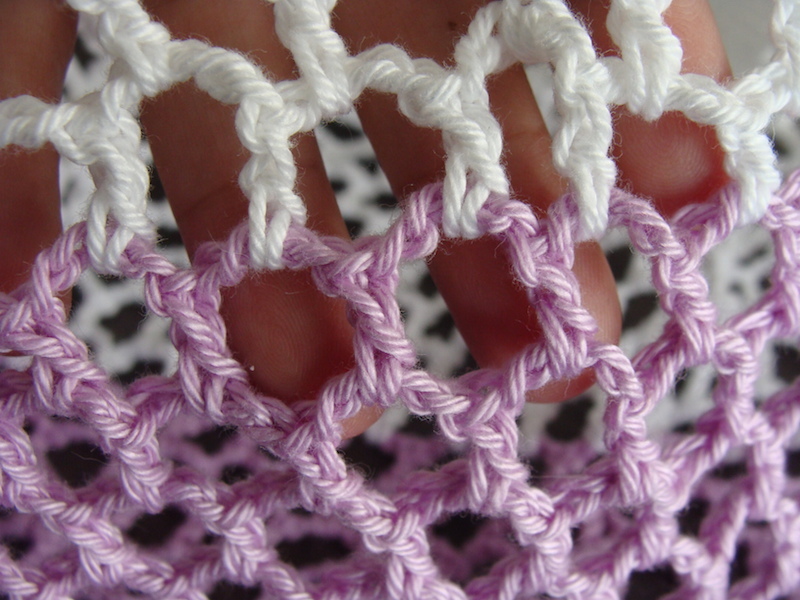 Hold them in place with wonder clips and sew the diagonal edge through. Repeat this step for the backside of the book cozy with the other rectangle of outside fabric, batting and the other 2 table cloth triangles. 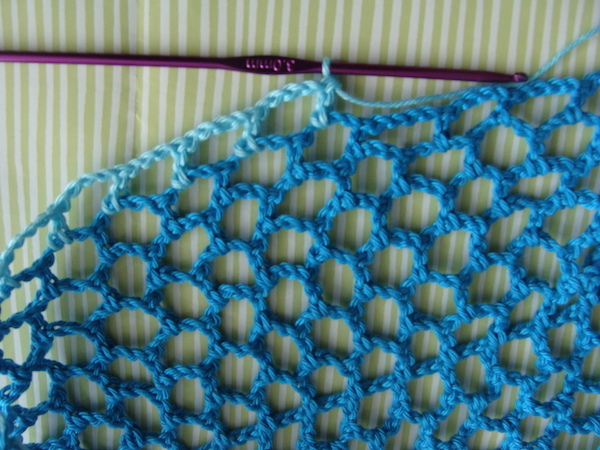 Lay down a piece of lining right side up. 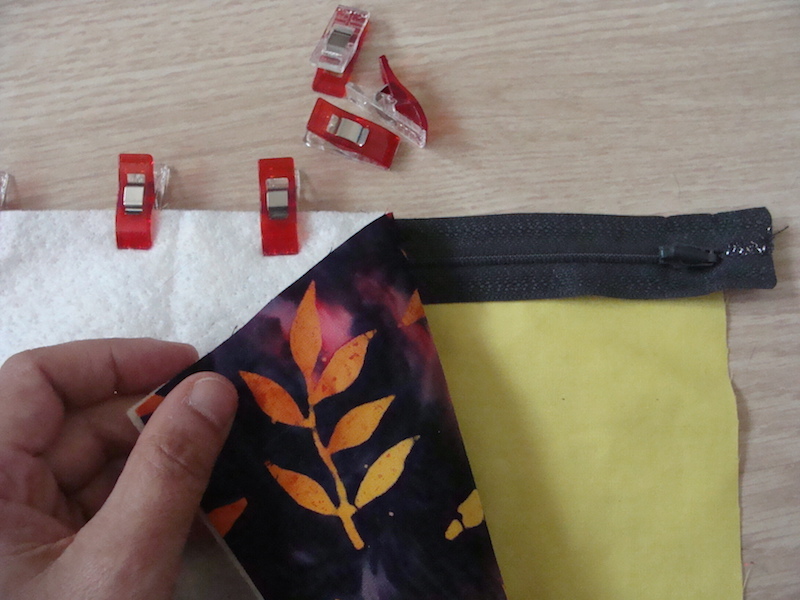 Lay the zipper along the long edge down right side up and then lay above that a piece with the table cloth triangles. De zipper now lays exactly between both pieces. pin the pieces along the edge or use the wonder clips. 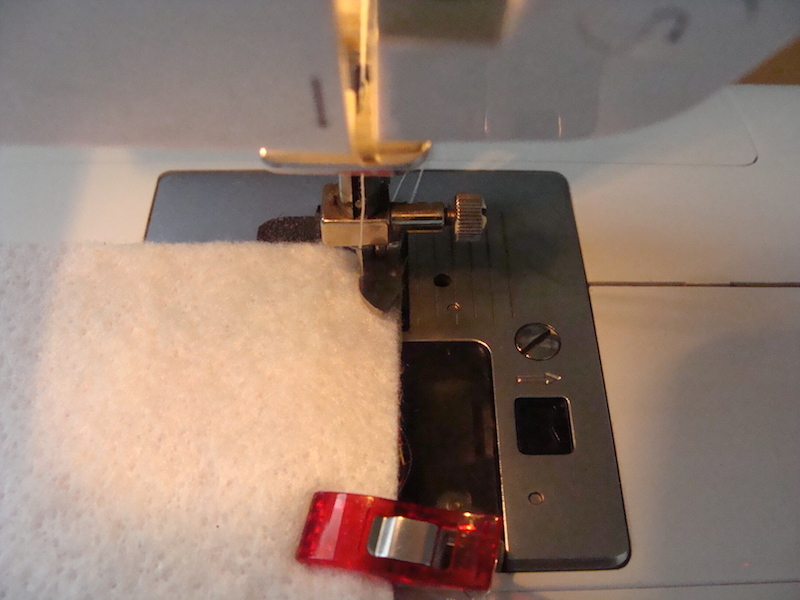 Set your sewing machine for sewing zipper with the special zipper foot and sew the edges with the zipper between them. 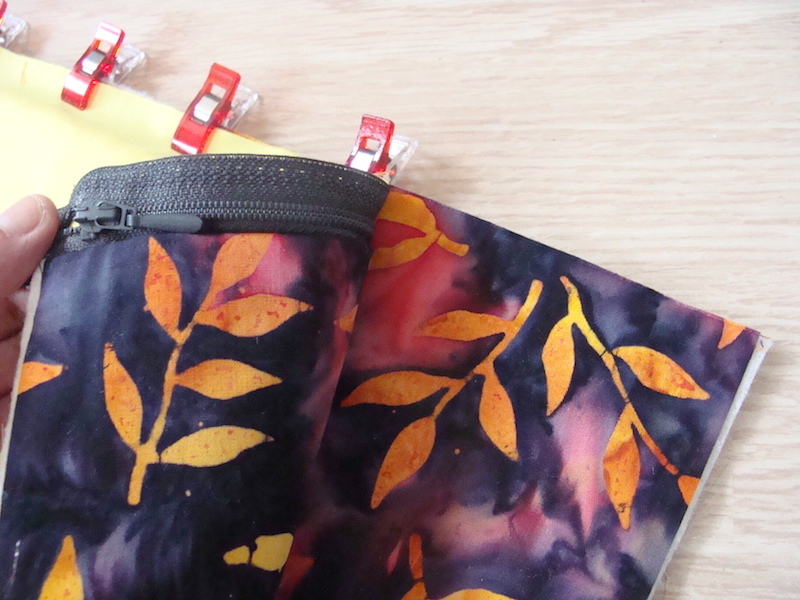 Turn the pieces to the other size so the zipper apears. Lay the other piece of outside fabric right side up. 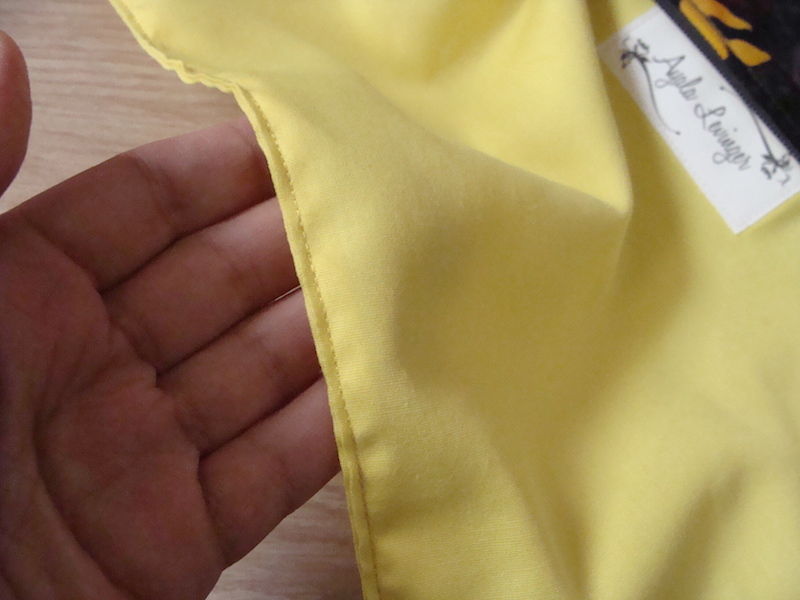 Lay the zipper right side down above the edge of the outside fabric. 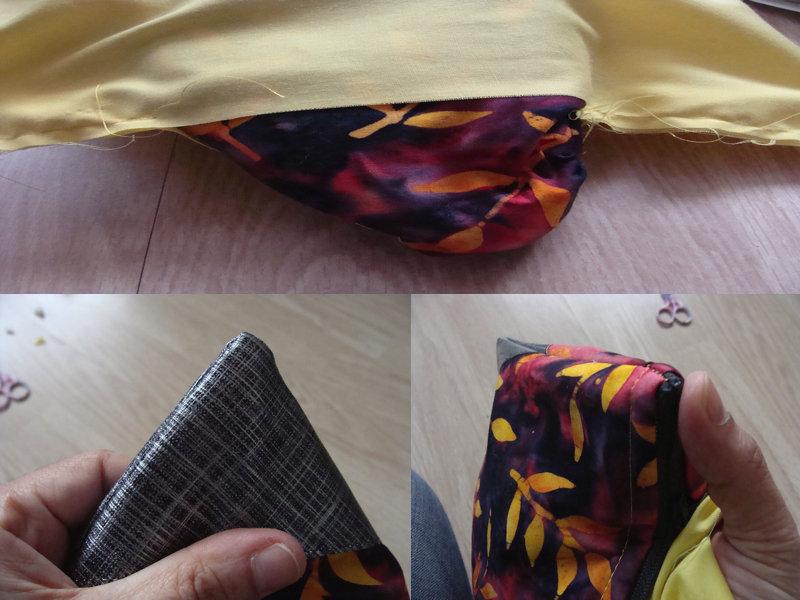 Lay the other pice of lining right side down on the zipper. It will lay on the other piece of lining. pin or clip and sew the edge. 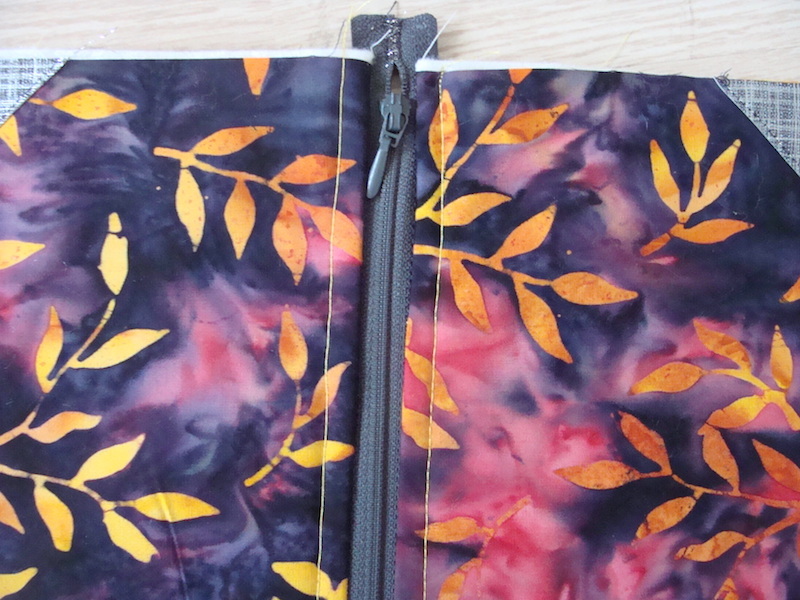 When you turn the pieces you now have on both sides of the zipper 2 pieces sewn. 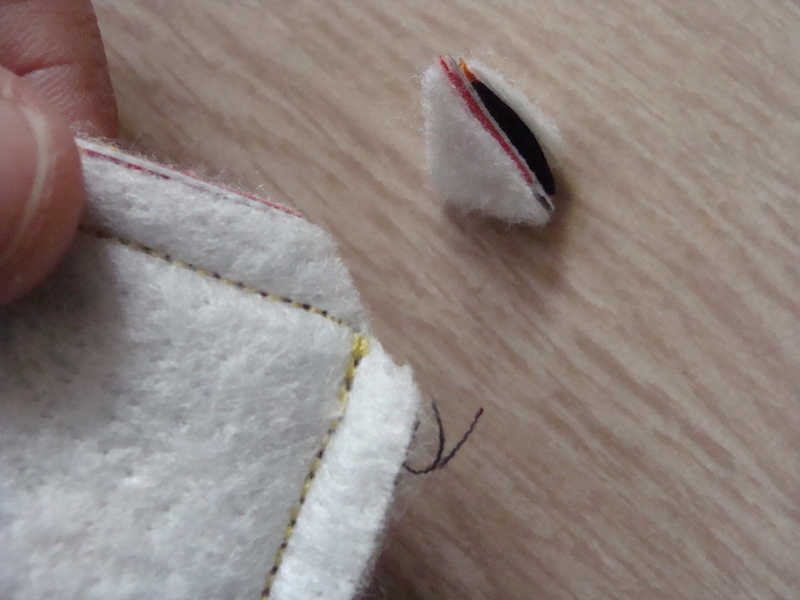 top stitch with a matching thread to the right and left of the zipper all the parts 0,5 cm from the zipper on each other. Turn the outside piece through the opening in the lining. 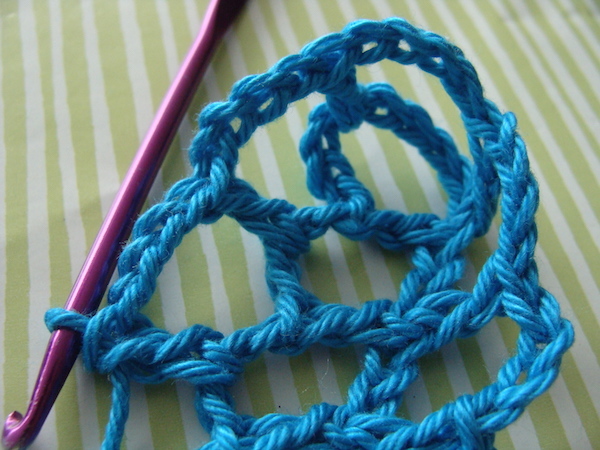 Neatly shape the corners. 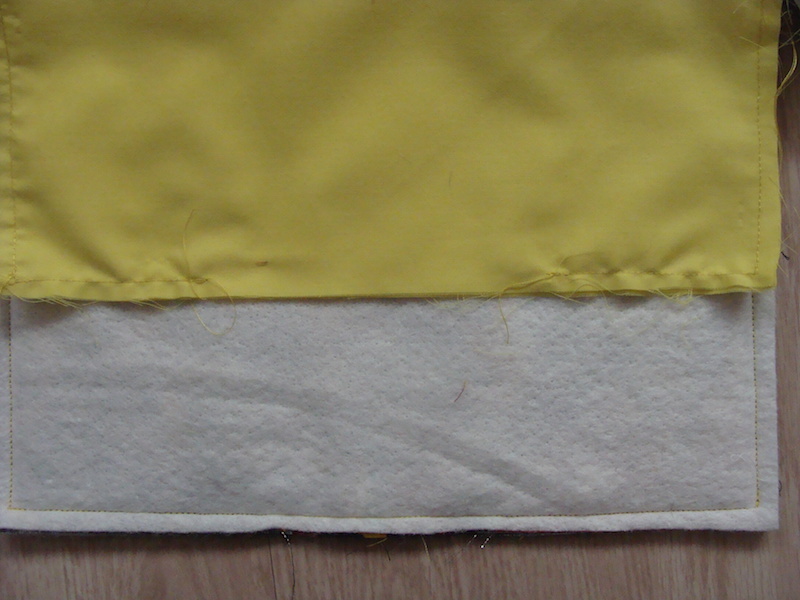 Sew the bottom edge of the lining. Lay the lining inside the bag. iron the bag if necessary and close the zipper. In the other bag I made the zipper is on the short side.